USL PRO may have another weekend of regular season play, but the regular season champion has been crowned. 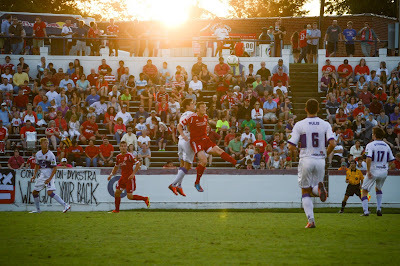 The Richmond Kickers defeated Orlando City SC 2-0 behind two first half goals from Matthew Delicate. After going on an unprecedented 22 game undefeated streak through much of the season, the Kickers cemented their first trophy of the year. The DC United affiliate club rode the good form of goalkeeper Andrew Dykstra through much of the season. In Wednesday night's match Dykstra made five saves on his way to the shutout. The first half was packed with end to end action, with Richmond opening the scoring in the 24th minute when Joseph Ngywenya broke down the right side and played the ball to Matthew Delicate who fired the first of his two goals into the back of the net. Five minutes later Delicate struck again, this time with William Yomby providing the assist. Yomby found Delicate who then chipped the ball over Orlando goalkeeper Miguel Gallardo. Gallardo for his part came up big for the Lions several times. Richmond played an extremely composed game. 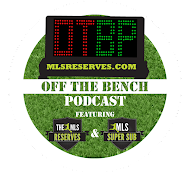 However, the one moment of error that Orlando failed to punish came in the 60th minute, when Andrew Dykstra took down Orlando substitute Long Tan in the box. The resulting penalty kick however was sent far over the crossbar and out of danger by midfielder Kevin Molino. Both the Richmond Kickers and Orlando City are Major League Soccer affiliate teams, taking part in the pilot loan program between the two leagues. Richmond is aligned with DC United and has had several players on loan through the season, including Andrew Dykstra, Michael Seaton, Colin Miller and Conor Shanosky. In addition to their rotating DC United contingent, Houston Dynamo forward Brian Ownby has been stellar for the Kickers with six assists and seven goals in eighteen games. Orlando is affiliated with MLS model franchise Sporting Kansas City. The Lion's have benefited from several SKC players including Christian Duke, Jon Kempin and most notably Dominic Dwyer. Dwyer, who has returned to Sporting, is one of the primary reasons for Orlando's second place standing with 15 goals scored. This Saturday, Richmond plays its final game of the season at the Pittsburgh Riverhounds while Orlando City SC hosts the Charlotte Eagles. Even if the two teams tie on points, Richmond wins the default tiebreaker and thus are unquestioned champions of the regular season.